To start your PPC advertising venture, you need to begin with a campaign. Under campaign management in Google AdWords, you establish a budget, create your ads and select your target keywords based on the market and audience you want to reach. You may have multiple campaigns for different types of ad groups (separate groupings of keywords and ads within the campaign). For example, you may have a “Catering” campaign with different ad groups such as “Corporate Luncheons” and “Wedding Catering.” Having separate campaigns helps you manage your budget and keep the overall organization of your account. After establishing separate campaigns, you want to set up ad groups. Ad groups hold each of your ads with targeted keywords for a specific campaign. For example, you may have a “Catering Services” ad group with 15 relevant target keywords, give or take, with ads for each keyword. In addition to the “Catering Services” ad group, you could have multiple others ad groups for each campaign. To create targeted ads in your Ad Group, you need to conduct keyword research. Although there are many keyword research tools, Google AdWords has a built in keyword planner that works perfectly. In the keyword planner, you can generate multiple keywords and phrases that can be used to target a specific audience. Google displays the average monthly searches, competition level and suggested bid for each keyword. One mistake many businesspeople make is targeting the keywords with the highest traffic. With high traffic comes high competition, so people often waste time and money targeting overly-general keywords. Try to focus on specific, lower-volume keywords to get the best results at a reasonable cost. To read more about keywords and how they enhance SEO, click here. After identifying your target keywords, you’re now ready to create the actual ad to put into your ad groups. Google AdWords makes this step exceptionally easy. All you do is create the title, copy and url containing the target keyword to generate your PPC ad. Ad Rank is an algorithm used by Google to determine where the sponsored ads appear in the search results. Ad Rank also determines how much you have to pay for each click. In order for your ad to perform well, there are some components that Google looks for. The relevancy of your ad to what the user is searching for is extremely important. This is where finding and using specific target keywords pays off. If someone searches “catering services in Pensacola” and your ad uses the target keyword “catering services in Pensacola,” the relevancy is a perfect match. This also contributes to the keyword’s quality score. The Quality Score of a keyword is based on a scale from 1-10 and is vital to the success of your PPC ad. I will discuss Quality Score in greater detail in future blog posts. After the user clicks on your ad, the quality of your landing page is the next qualifying factor. If your landing page from the ad has solid, trustworthy content that Google “likes,” your Ad Rank increases. Over time, if you consistently generate quality content, ads and web traffic, your Ad Rank and Quality Score will rise. This increased Ad Rank will result in more clicks, leads and revenue. 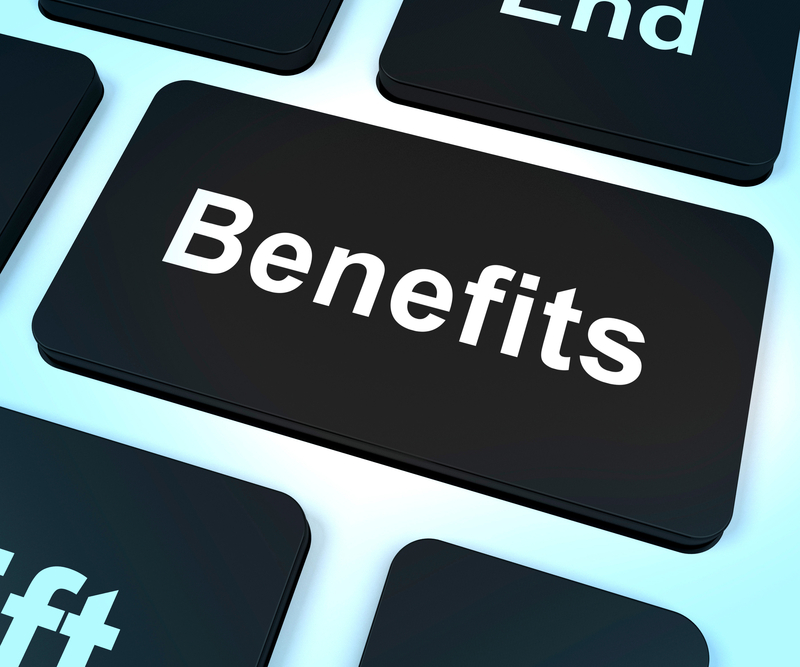 When used correctly and efficiently, the benefits of PPC advertisement are staggering. Some of the main benefits of PPC include fast, measurable results. Unlike organic search results, you can generate, track and analyze results quickly with AdWords. This allows you to track ROI, adjust your campaign and create new ads as necessary. 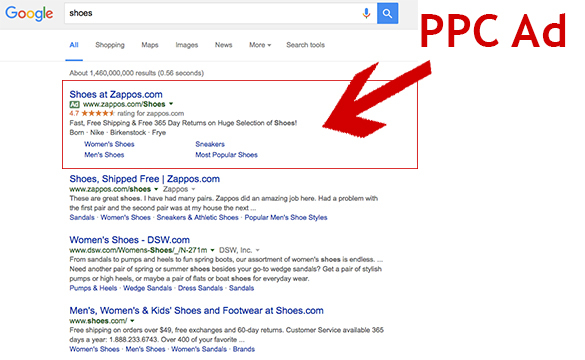 Another benefit of PPC is the cost. You are only charged for PPC when an interested user clicks on your ad, which often leads to sales and revenue. Essentially, you only pay for results. With PPC, you are able to set a specific budget for each campaign, so you aren’t unnecessarily spending money without getting any results. In addition to other SEO tactics, PPC gives you SEO value that you only pay for when you receive results. To learn about how much you should be spending on marketing, check out our blog post on the topic here. With keyword research and ad groups, PPC provides you with the tools you need to reach your target audience and increase website traffic. Other advertising and marketing tactics can sometimes leave you spending money and time on advertising to the wrong crowd. With PPC, you can generate specific target keywords that will reach your intended audience. This method is also a great tool for increasing brand awareness and credibility. Although this is just the tip of the iceberg, I hope this blog post has helped you acquire a better understanding of PPC and its benefits. When executed properly, pay-per-click advertisement has the potential to establish brand awareness and credibility, increase website traffic, reach your target audience and generate leads. Stay tuned for future posts regarding PPC, Quality Score and other tactics for enhancing your SEO. Great overview on PPC advertising Libby. Thanks for putting this together and sharing it.